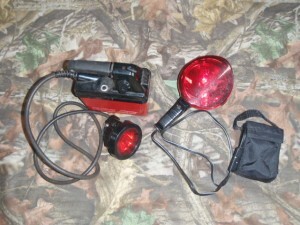 Cape Cod Wildlife Calling→Blog→Equipment→Predator Hunting Lights: What Color to Use? Red, Green or White? 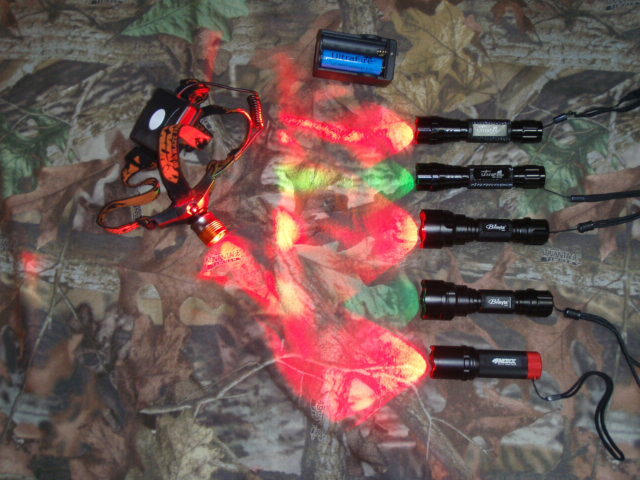 Predator Hunting Lights: What Color to Use? Red, Green or White? There has been a lot of discussion on what color light to use while predator calling at night. For years, predator callers have preferred red or amber lights for calling at night. Most of the early predator hunting lights were cumbersome lights with large external batteries that required colored lens covers to filter the light to the desired color. In the early days, most predator hunters used either red or amber lens covers. Since the advent of high powered, affordable colored LED lights, the use of colored lens filters has become unnecessary. Modern LED lights are available in red, green or white, which leaves the night predator caller with a few choices when it comes to which color to choose. I prefer red for scanning. Partly because after using red for over 20 years, I am used to looking for red eyes approaching in the dark. 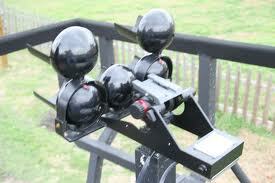 Red light also preserves your natural night vision better than green or white. Green is a lot brighter than red, but it is much easier for me to pick up red eyes reflecting on a stand while scanning as opposed to green eye reflections. I have tried both and I prefer red. I prefer red for a shooting light also. From what I have seen, the red light spooks less animals than the green. But I can see where green being a little brighter color, could be a good choice for use as a long distance shooting light for animal identification purposes. Especially if you are in an area where there might be domestic animals (like domestic dogs for instance) coming in to the call. If you are hunting at night, you need to be sure to identify the target animal before the shot. Some prefer to use white light for scanning like the guys on CarnivoreTV for example. According to the guys from the show, they use several low powered or dimmed white lights instead of one bright white light. Judging from the footage these guys get, the animals don’t have a problem with their white light setup. It is really a personal preference on which color predator hunting light to use, but in my experience, red has been the go to color for me. I rarely see an animal spook when scanning with a red light, unless the animal gets downwind and winds me. In that case I don’t think it matters what color light you are using. As I said before there are way more opinions on what color to use than actual color choices. Some say that green and white light spooks animals, but most agree that red does not spook animals. Ask ten different predator hunters and you will likely get ten different answers. Its really up to you to try out the different colors and see what works best for you and the animals in your area. At least you can buy decent colored LED flashlights for cheap money to try them out. Then when you decide on your preferred light color for predator hunting you can invest in a more expensive predator hunting light. I own some flashlights which use for the hunting (Fenix, Surefire). Some mouths ago I bought Armytek flashlight – Predator XP-G2 and like it most of all. 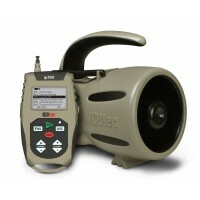 It’s easy to use and I don’t have any problems when I hunt. It has cool white tint, but for hunting I also prefer to use red filter. This light doesn’t attract so much attention to me. Agreed. I’m constantly telling campers/hunters & even stargazers about colored lights. When I joined the military in the early 1970s colored lights (versus normal white lights) were known keep to you undetected/alive due to their lower visibility and the preservation of your night vision. I am constantly amazed by AnimalPlant/NatGeo/Outdoor ‘experts’ who hunt unusual or rare animals, but they stomp around at night with bright white lights you can see 10 miles away.